One of the big selling points for a lot of high-end PCs these days is that they’re “VR-Ready”. This usually means that they have the right kind of CPU piston power at work, enough RAM to muscle through the weightiest of memory challenges, and a GPU that presumably can handle the stress put upon it by the latest and greatest headsets, such as the Oculus Rift or HTC Vive. However, one thing that some of these VR-ready GPUs don’t inform you about is that it’s not always the software or hardware challenges that prove to be some of the biggest obstacles, but the cable requirements. If you visit places like Cyberpower’s website, or Amazon, or GameStop, you’ll find listings with customizations or options for GPUs where they’ll list the specs and whether or not it’s VR-ready, as indicated in the image below. Some of those cards you’ll notice can get pretty expensive, but if they say they’re VR-ready you’re likely working on the assumption that once you purchase it you’ll be all set and you won’t have to worry about upgrading, tweaking, modifying or buying extra accessories in order to get it to work with your VR headset… right? While each card may technically be VR-ready from a power standpoint – capable of pumping out the juices needed to run VR titles at respectable frame-rates and graphics settings – there’s an issue of the GPU having the proper ports to run the kind of graphics setup you’re planning on using. The biggest hiccup here comes in the form of the HDMI ports, or rather… the lack of HDMI ports on most VR-ready GPUs. Simply put if you want to hook up your gaming PC to your TV and use a VR headset you’ll need two HDMI ports on your GPU to make it work. While some gamers may connect their GPU to their monitor through a DVI-I cable, what happens when your gaming setup is situated in the den or living room where you’re running your PC to your HDTV using an HDMI cable? Typically most people would say “Just plug your VR headset into the other HDMI slot!”. Except, in the case of most VR-ready GPUs… there is no other HDMI slot! For instance, Amazon’s now discontinued Oculus Rift and Alienware VR bundle comes with a VR-ready GPU that’s not properly adequate for living room gaming, despite the fact that it’s a bundle designed and advertised for living room use! As noted on the store page, the bundle comes with everything you need to start gaming in VR with a high-end Alienware for just over $1,500, but the GTX 970 it comes with only has one HDMI port. This means you’ll either have to use the display port or the DVI-I connection. Most HDTVs don’t have a DVI port. 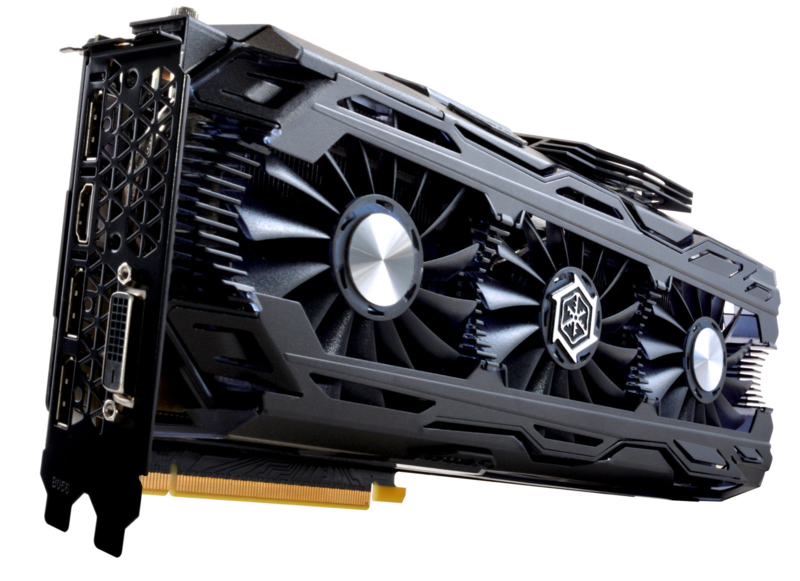 MSI’s GTX 970 comes with a single HDMI port, a DVI-I and three DisplayPort slots. The same applies to Nvidia’s base GTX 970, and most other OEM GPUs that claim to be VR-ready. You might have to find a special GPU that has more than one port, but most only have a single HDMI out, including the GTX 1080 brand. The Inno3D iChill GTX 1080 Ti X3 only comes with a single HDMI out, as detailed on their official product page. This is despite the fact that the GPU runs on average at around $985. On the upside, slightly less expensive but still very expensive GPUs like the Gigabyte GeFore GTX 1080 Ti Aorus – which will cost you about $749 – actually comes with multiple HDMI ports, including two on the back and one on the front specifically designed for a VR headset. Unfortunately the Gigabyte GTX 1080 Ti Aorus is an exception and not the rule when it comes to VR-ready GPUs. For instance, the standard Asus GTX 1070 doesn’t have dual HDMI ports but the Asus GTX 1070 Turbo edition does. 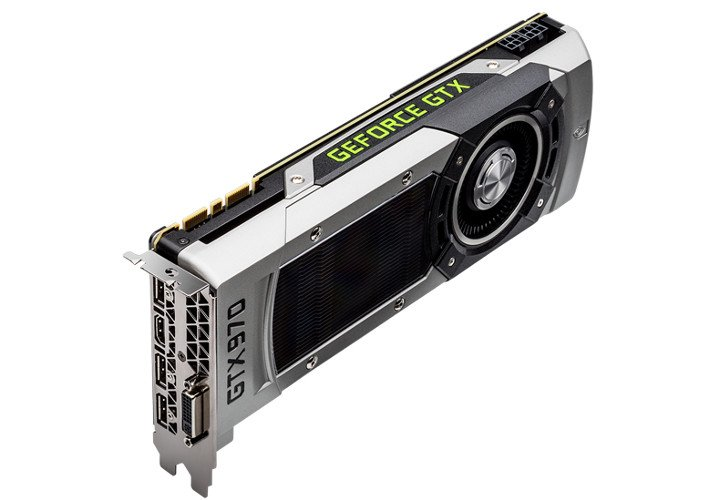 EVGA’s standard GTX 1080, the high-end GTX 1080 SC2 iCX, and even the expensive Gefore GTX 1080 Superclocked ACX 3.0 Edition all only come with a single HDMI port. Even AMD’s cards aren’t exempt from this problem, with supposed VR-ready cards such as the RX 580 still only having one HDMI port with three DisplayPorts. So basically, you can either hook up these VR-ready gaming machines to your TV or hook up your VR headset to the gaming machine, but you won’t have the port-space to do both. Now HTC offers a solution with the mini-DisplayPort alternative on the linkbox, but the Vive nor Rift headsets come with a DisplayPort adapter. There have also been some reports from users that they get flickering and picture instability while using the DisplayPort adapter through the link box. This means you either have to buy a separate monitor with a DVI-I port, or breakdown and get a DisplayPort-to-HDMI cable to hook up your VR-ready gaming machine to your HDTV. Also, be warned that if you have a television running at 144hz and higher than 1440p, the DisplayPort-to-HDMI cable may not take advantage of its resolution and refresh rate, so you’ll have to make sure you get a cable that can properly match the output of your TV. Now the good part is that these adapters can be picked up from Amazon for as low as $9.99. The bad part is that these adapters are not included in the VR headset bundles for the HTC Vive or the Oculus Rift. So if you already have a VR-ready gaming PC you’re likely already set if your PC is connected to a DVI-I monitor. You can use the spare HDMI port for your VR headset. If you’re thinking about getting a VR-ready PC (or GPU) and you plan on hooking it up to your television, be sure to check if it has more than one HDMI port, or be sure to pick up a DisplayPort-to-HDMI cable to run it from your GPU’s DisplayPort to your TV, and then hook up your VR headset to the empty HDMI port. If you’re actually considering getting a VR-ready PC at some point in the future, or turning your living room or den into a VR playpen, be sure to also check out some other cable solutions using the HTC Vive cable wiki on the Vive sub-Reddit.